The Yongnuo Speedlite YN560 IV is a radio-enabled manual flash with the features of the YN560-III and YN560-TX rolled into one. 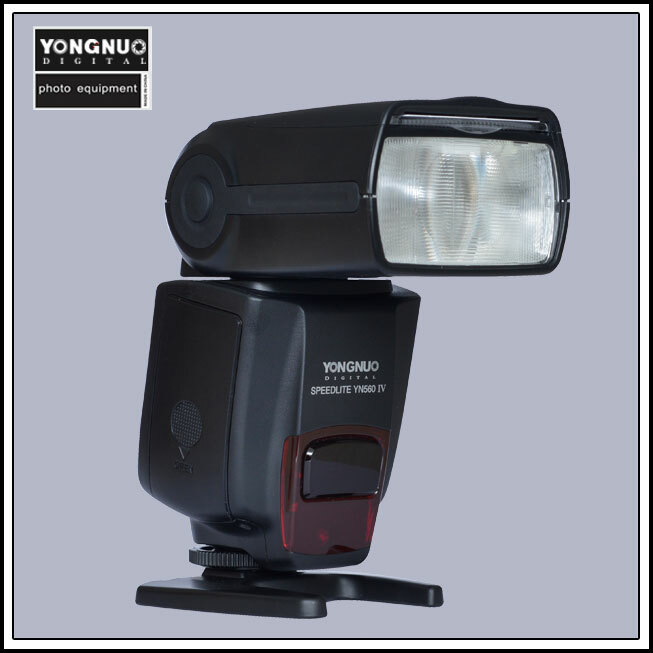 Yongnuo has announced the Yongnuo YN560 IV, a manual flashgun that can control and be controlled by Yongnuo’s 2.4GHz wireless system. The fourth generation in the YN560 series, the YN560 IV is effectively the YN560-III (radio slave flash) and YN560-TX (radio commander) rolled into one device. Expect the same body and flash features of the YN560-III, with the added capability of triggering other YN560-III and YN560-IV flashes or RF-602 and RF-603 (II) radio receivers. And if you aren’t fully invested into Yongnuo’s system yet then you can still trigger it from the hotshoe, sync port or optical slave as normal. No TTL here: you can manually adjust the output down to 1/128 of full power in 1/3-stop increments, or else play with the stroboscopic features. 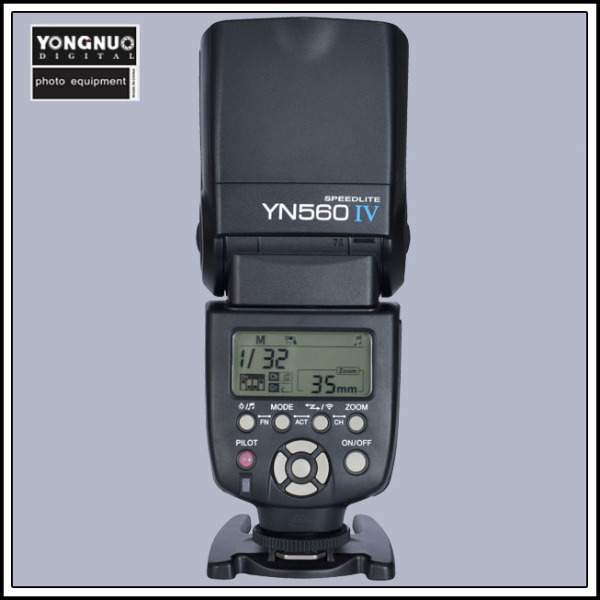 The Yongnuo YN560 IV has a guide number of 56 (at 105mm), a 24–105mm zoom head, a customizable backlit LCD and can be sped up with an external (Canon-style) battery pack. Pricing has not yet been announced but you can keep an eye out for it at the manufacturer’s official eBay outlet. For the same thing without the flash feature, get the YN560-TX for about $50, or for the same thing without the Commander mode, get the YN560-III for $80. 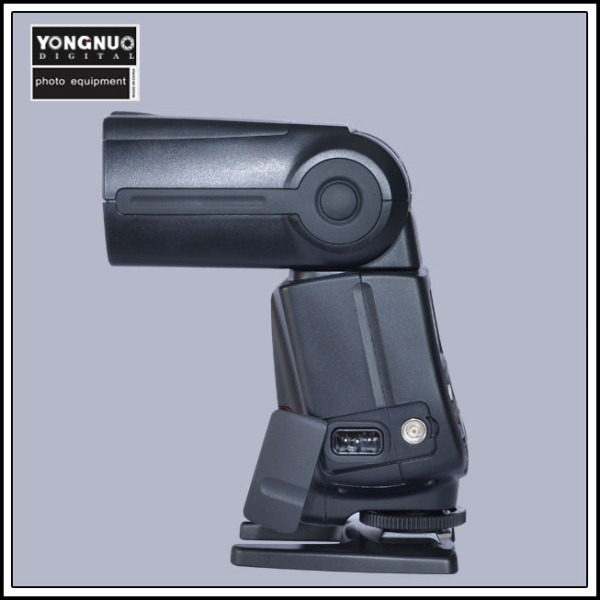 For full specs, visit the Yongnuo product page.